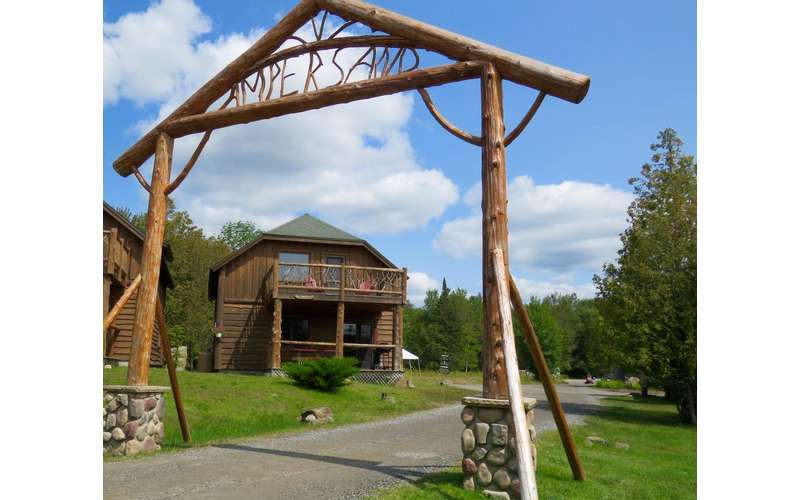 Ampersand Bay Resort and Boat Club is truly your gateway to the Adirondack wilderness. With 28 acres and 1000' feet of lake frontage on Lower Saranac Lake, our guests enjoy thoughtfully appointed accommodations, the peace and quiet of lakefront luxury and close proximity to the villages of Lake Placid and Saranac Lake. Guests enjoy our canoes, kayaks, SUPs, and pedal boats, trail system, beach area, nightly campfires and kids activities at no extra charge. Each of our rental units has a full kitchen and at least 2 bedrooms, the cabins and townhomes are equipped with gas fireplaces, washers and dryers and our luxury townhomes host jacuzzi tubs. We have pet friendly options so that no member of the family has to be left behind. Our gorgeous sunsets, fabulous fishing, boating options and proximity to the tourist hub of Lake Placid and the High Peaks Wilderness area make Ampersand Bay Resort the perfect place for your family getaway!